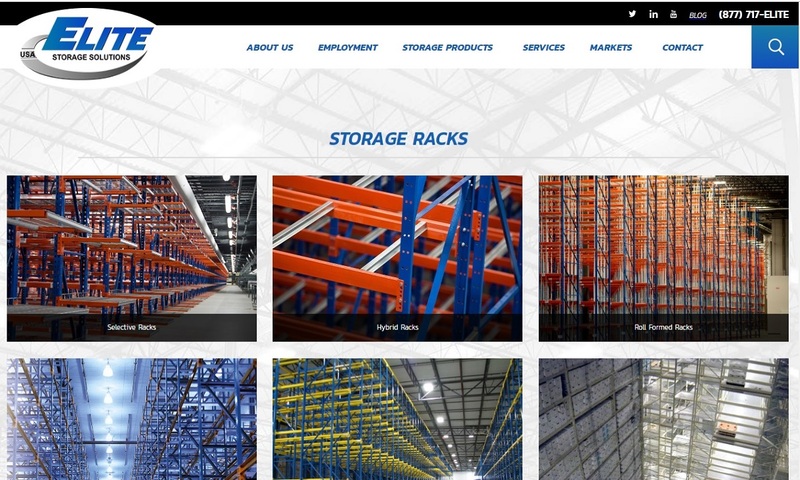 A reliable source for Storage Racks information and a resource for accessing leading Storage Racks and suppliers. Storage racks are shelf-like frameworks or stands found in plants and factories, workshops, retail facilities, homes, and offices alike. The applications of storage racks are virtually endless. They offer their users a means to efficiently store, organize, and/or display tools, equipment, materials, pallets, boxes, parts, and products. Storage racks also provide invaluable space saving services inside shipping areas, product assembly rooms, workspaces, and manufacturing facilities. Storage Racks Storage racks are shelf-like frameworks or stands found in plants and factories, workshops, retail facilities, homes, and offices alike. We create storage racks that are ideal for a full spectrum of industries. Our company offers a diverse selection of storage racks to pick from and there are various advantages with each type of material. 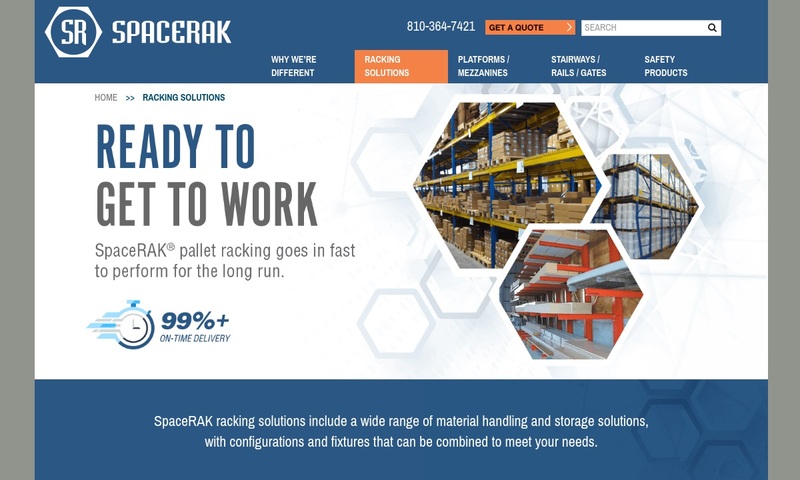 Since its formation in the 1960's SpaceRak has grown to be one of the country's leading suppliers of storage rack systems offering planning and layout, engineer and design, and installation assistance. 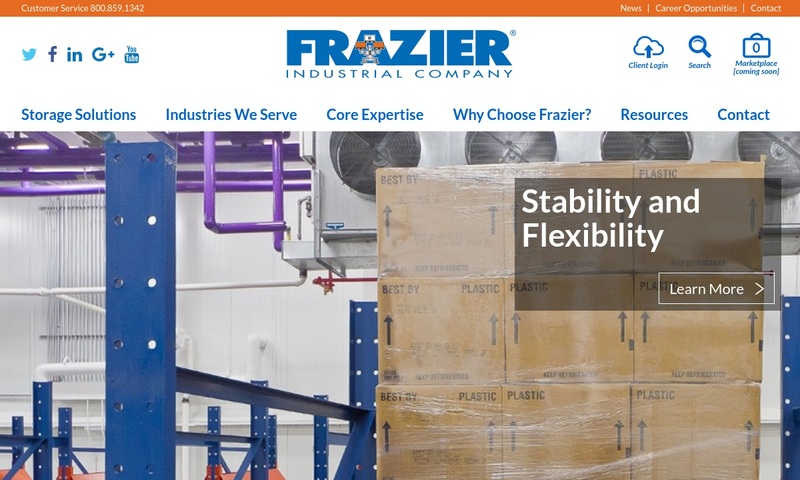 Frazier Industrial uses 100% hot-rolled structural steel in the construction of our storage rack products, including adjustable racks, high-density storage racks, stock racks, pallet racks, drive-in and push back racks, cantilever and gravity flow racks plus much more. We offer a variety of rack systems here at Elite Storage Solutions. These racks include selective racks, drive-thru racks, cantilever racks, carton flow racks, push back racks, shelving and more. 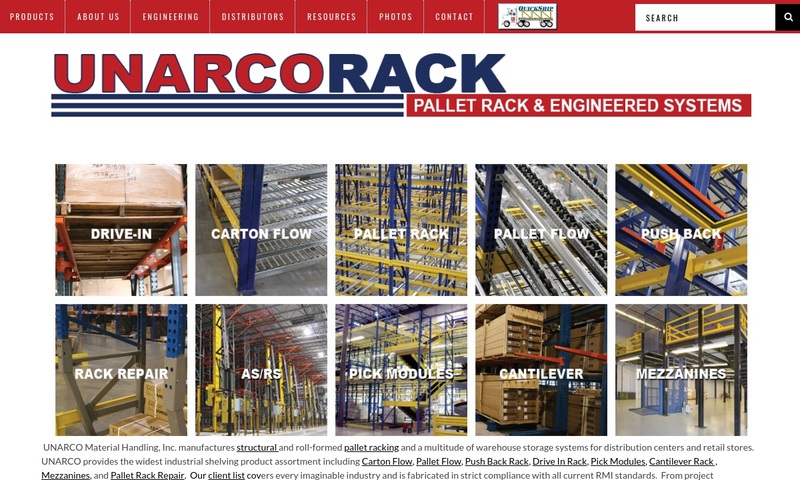 UNARCO is the most flexible pallet rack manufacturer in the industry with the ability to produce an entire line of warehouse storage solutions including Carton Flow rack, Pallet Flow rack, Push Back rack, Drive In rack and Cantilever Rack, and more. Storage racks are a variation on the basic shelving unit. Shelving units, of course, have been around in some form or another for a very long time. So, what prompted the evolution of the storage rack, and when did it happen? It was a combination of industrialization and the invention of the forklift. First, during the early 1900s, manufacturers required an amping up of storage. This was because they were creating more and more bulk items and items for large stores, and they were manufacturing more products because they had the means to ship them across the country. In response they began creating larger storage systems. Then, in 1917, after putting in years of work, an American company called the Clark Material Handling Company came out with the first forklift. The invention of the forklift allowed manufacturers to create taller and more expansive storage racks. It also allowed them to move things more quickly and more safely, with less people. Storage Racks – Ridg-U-Rak®, Inc.
During both World Wars I and II, manufacturers saw an increase in their need for storage racks that coincided with the demand for vehicles, weapons, and goods for the war effort. Around this time, engineers developed the standardized pallet. This also led to the creation of forklifts that could lift several pallets at once. In response to this new capability, engineers created the pallet rack. Pallet racks, the first true storage rack, simply hold these pallets. In 1926, manufacturers installed the first vertical pallet storage racks. Used in warehouses, they allowed workers to make better use of space by stacking products upright. In 1968, an American inventor named Thomas J. Finlayson patented his design for a drive-in pallet rack. This type of storage rack permits machinery operators to drive directly to the storage rack. Almost twenty years later, in 1986, another American inventor, Charles “Chuck” Agnoff designed the gravity flow storage method, which to this day helps manufacturers more effectively and efficiently use their storage rack systems. Today, storage racks are more useful than ever, as well as more durable, secure, and versatile. Storage rack manufacturers build their products using welding. Welding ensures that the materials are strong and will stay together. Usually, the parts they weld together are made from a strong metal, like stainless steel, aluminum, or even titanium. When a customer requires less durability, manufacturers may also use something like particle board or wood. Manufacturers choose materials based on customer specifications, like required durability, required temperature resistance, required corrosion resistance, etc. Manufacturers can fabricate or assemble storage racks based on a variety of designs. To get started, customers may interact with their suppliers in a number of ways. First, they may choose from stock dimensions and designs. Second, they may present a detailed custom request. Third, they may work with their storage rack provider to come up with a custom design. In the case of the lattermost, manufacturers and customers discuss a variety of application details, including specifications and requirements, available floor and ceiling capacity, how much storage space is adequate, what load bearing capacity they need, and what type of mobility, if any, they require. After these discussions, the rack manufacturer will sketch a system design and submit it for approval to their customer. Once cleared, they can begin fabrication. For standard or custom ordering, reach out to a reputable storage rack manufacturer today. All storage rack systems are operated using either a “first in, first out” (FIFO) organization method or a “last in, first out” (LIFO) organization method. Each method informs workers differently as to how to stock and pick material. The first method, FIFO, calls for stocking to be done in the rear and picking to be done at the front. Quite commonly, this technique is used with perishable food inventory, which must hold to this order so that the oldest items get moved out first. The LIFO technique is never used with perishable items. Rather, it is used with products that can sit at the back of storage shelves for long periods of time without detriment. Mostly, LIFO is used with push-back racks and other storage racks that benefit from its space-saving attributes. Some of the most common storage rack design types include industrial storage racks, metal storage racks, wire storage racks, pallet racks, flow racks, push-back racks, rolling racks, and cantilever racks. In addition, less common, but still an important storage rack type are cryogenic racks. Industrial storage racks are heavy duty storage racks made to hold heavy items and machinery. They are always made of a durable metal like stainless steel. Metal storage racks are any and all storage racks that are made of a metal. Most often, this metal is steel or aluminum. 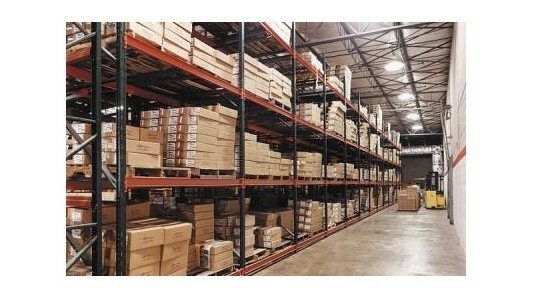 Such racks are used for heavy duty warehouse storage applications. 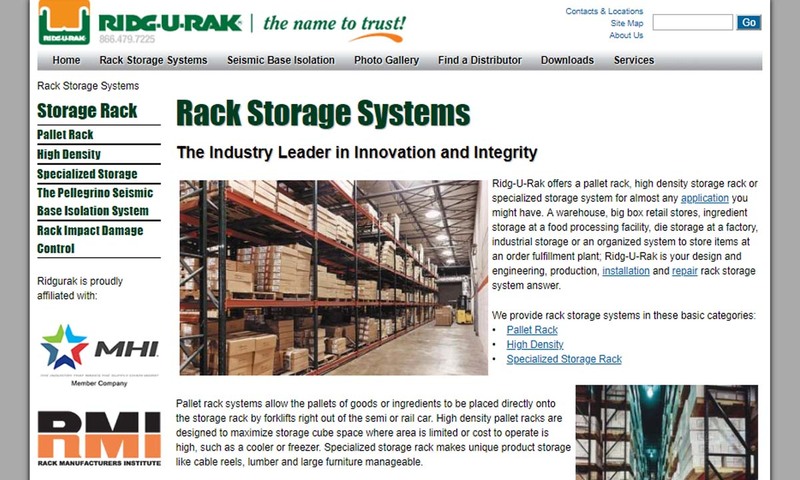 (When used in a warehouse, metal storage shelving units may be called storage racks.) Manufacturers seeking lightweight storage can purchase racks made of particle board, wood, or titanium. Wire racks are storage racks composed of vertical metal rails, with woven wire mesh decks or welded wire mesh decks. They may also feature open shelves. Their grid patterns make them ideal for display applications. The patterns also increase ventilation and decrease dust buildup. Pallet racks are designed to store inventory on pallets, or skids. Pallet racks are open on all sides and allow for vertical stacking. They have been popular since World War II and have applications in warehouses, retail centers, manufacturing facilities, and distribution centers. As such, pallet racks, which are usually moved by forklifts, are available in a variety of configurations. Pallet rack subtypes include drive-in racks, drive-through racks, pallet flow systems, push-back pallet rack systems, and compact mobilized pallet racks. Flow racks, also called gravity flow racks, simply move pallets along the sloped plane of their decking when they are placed on top of their rollers. Flow racks and push-back racks alike offer safe, dynamic, high-density storage for cartons and pallets. Using inclined decking made up of rails and rollers, they both use depth and gravity to increase rack capacity. Push-back racks store each pallet on a wheeled cart that is placed on the system’s rails. Angled slightly down, when a forklift places pallets on them, the carts move quickly towards the load/unload area and bumps the row of carts backwards. By staying close together, push-back racks save significantly on space. Push-back racks are open on one side and can easily be stored against an obstruction like a wall. Rolling racks may be static, used in picking and storing systems, or portable, like a wire storage rack, and able to be shifted from one location to another within a warehouse. Cantilever racks consist of a vertical column, arms, a base, and cross and/or horizontal brace sets. Modular, they are capable of accommodating new or changing storage requirements by allowing additional elements to be added to themselves. Used in plumbing supply warehouses, lumber yards and woodworking shops, cantilever racks are made to hold long, heavy items, especially those that must be kept up off the ground, such as sheet metal, beams, boards, and rails. Cryogenic storage racks are storage racks used for the storage of materials at extremely low temperatures. Cryogenics is a branch of physics that works with materials at temperatures below 292℉ (temperature cutoff point designated by the U.S. National Institute of Standards and Technology). Around the house, homeowners use storage racks not only to organize the garage or basement, but for a number of specialty tasks as well. Storage racks created for specialty storage solutions like these include amp racks, bicycle racks, eco racks, and drying racks. Amp racks are storage racks upon which amplifiers and other professional audio equipment are mounted. Bicycle racks are storage racks where bikes are stored when not in use. Eco racks are a type of bike rack designed to make it possible for bike riders to haul a similar amount of weight that they could using a car. They call them eco racks because commuting with bikes is both eco-friendly and economical. Drying racks are storage racks for hanging up wet clothes. You have many accessory options available to you. For the best advice on which ones might help your application, talk to your manufacturer. Examples of common storage rack accessory products include casters/wheels, braces, anchors, bumpers, drawer rack add-ons, shelve units, baskets, feet, dividers, and arms. Because storage racks are so often used in the workplace, in the United States, they must always meet OSHA safety requirements. Other storage rack standard requirements vary based on your application and location. For instance, if your storage racks are located in a public area prone to seismic activity, like a public library, they must meet the design and installation standards of FEMA. Any storage racks to be used in the medical industry or food and beverage industry must assigned FDA standards. The same goes for storage racks used in other settings, like military bases (Mil-Specs), the office, accessible areas (must be ADA-compliant), and so. Some of organizations that most frequently issue standard guidelines include ANSI (American National Standards Institute), ISO (International Organization for Standardization), and the NFPA (National Fire Protection Association). Find the right storage rack manufacturer for you by checking out those we have listed on this page. All of those we list are reputable and proven leaders. To help you focus your search, we recommend you compile a list of your own. This should include all of your specifications, including things like your budget, your timeline, your delivery preferences, and your post-delivery support preferences (installation assistance, maintenance support, warranties, etc.).  With your list in tow, take some time to browse the respective profiles of the companies we have posted on this page. Compare and contrast their services and product offerings. Pick out three or four you believe to be the best potential fits for you, and then reach out to each of them. Once again guided by your specifications list, discuss your application at length with your candidates. Finally, choose your manufacturer. Remember to base your decision not only on which one offers you the best prices, but also which one provides the storage solution that most closely aligns with your needs. Good luck!